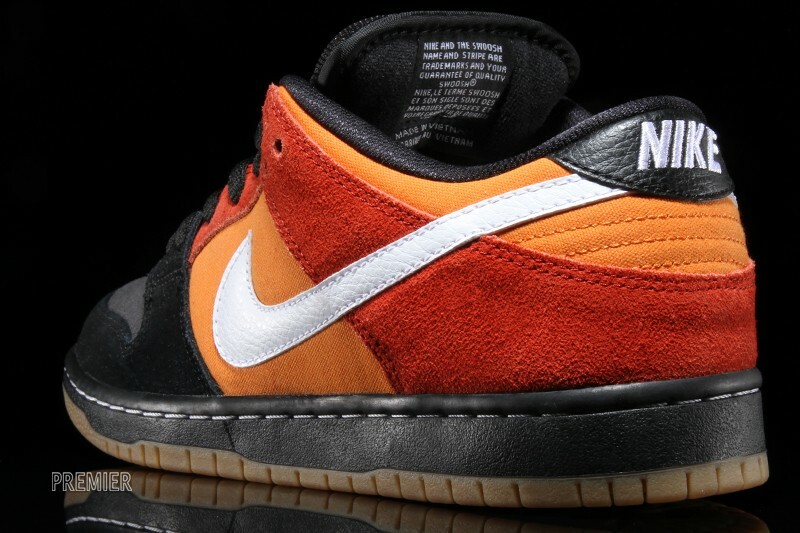 A familiar black and orange setup. 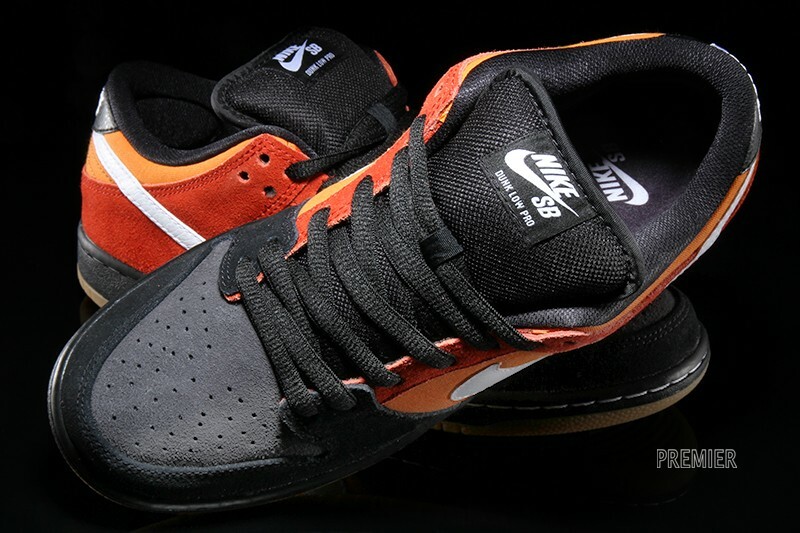 Nike SB has had no problems as of late resurrecting classic styles from its archives, and has usually done so by changing the height around. 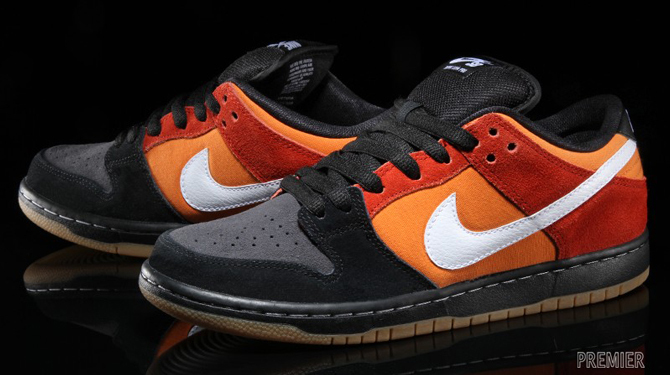 It's unclear if this shoe is meant to be a referential style, but there's certainly some traces of an SB of old. 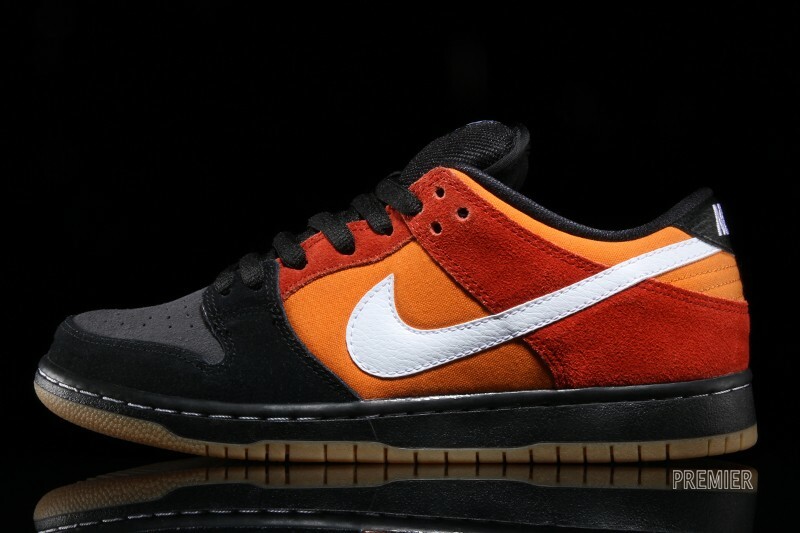 An echo of the Nike SB Dunk Low "Raygun" is felt via the black and orange combination, although this shoe uses synthetic suede where the original had leather. 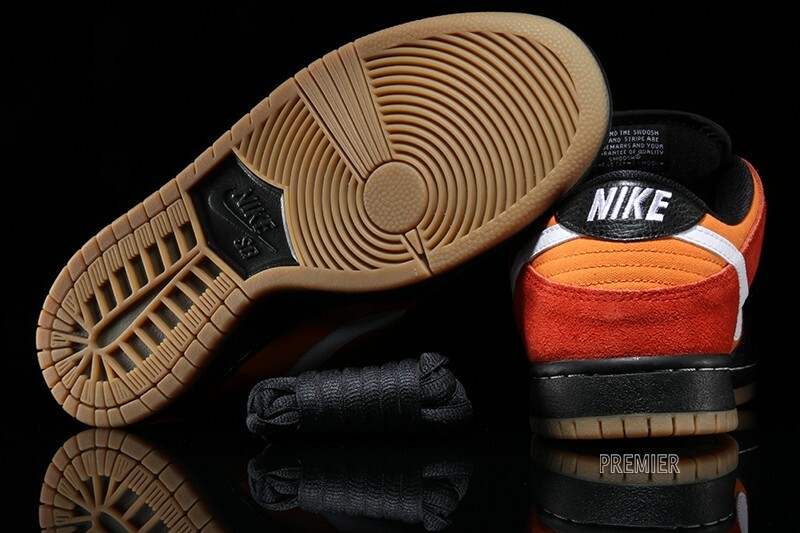 There's also no Raygun figure on the back side, and the shoe this time wears a gum look for its outsole. 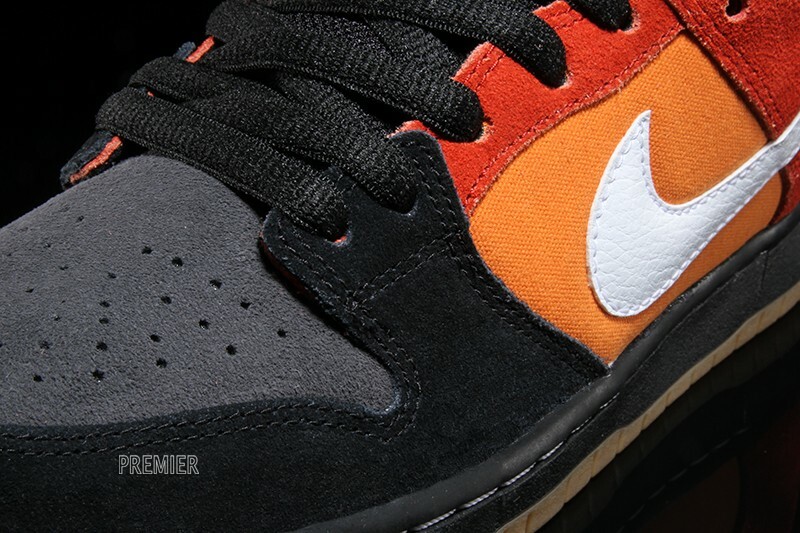 This Nike SB Dunk Low release in black/cinnabar is available now at Premier.